Golden State Warriors' Stephen Curry gestures to fans. DJ Augustin was the hero for Orlando, draining a three-pointer with 4.2 seconds to play to seal a famous win for the seventh-seeded Magic, who finished the regular season with 16 fewer wins than Toronto. 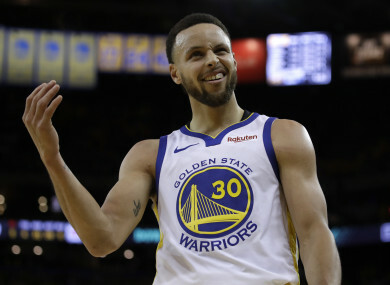 Email “Steph Curry fires Warriors but Sixers, Raptors stunned in playoff openers”. Feedback on “Steph Curry fires Warriors but Sixers, Raptors stunned in playoff openers”.